Apple today seeded the first beta of an upcoming tvOS 11.4.1 update to developers for testing purposes, one day after releasing tvOS 11.4, an update that introduced support for AirPlay 2. 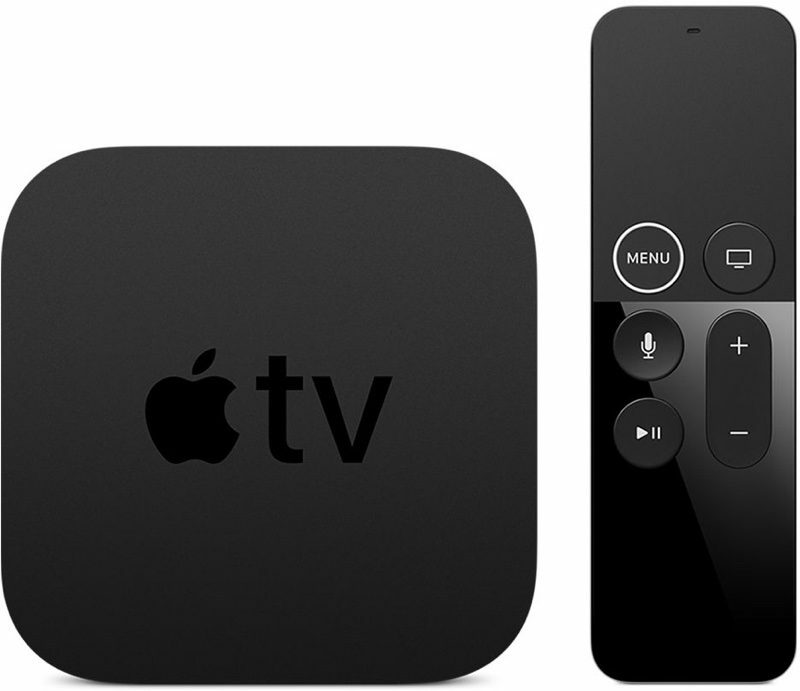 Designed for the fourth and fifth-generation Apple TV models, the new tvOS 11.4.1 developer beta can be downloaded onto the Apple TV via a profile that's installed using Xcode. We're not yet sure what fixes and changes the tvOS 11.4.1 update might bring, but it's likely to focus on bugs that have been discovered since the release of tvOS 11.4. Apple's tvOS updates have historically been minor in scale, and Apple does not often provide us with detailed notes outlining what's new. We'll update this post should anything be found in the beta. Apple's work on tvOS 11 is winding down as the company is now focusing on tvOS 12, which is set to be unveiled at the Worldwide Developers Conference next week. I have had several app crashes and also a few OS reloads since yesterday, hopefully that will be fixed. Apple's tvOS updates have historically been minor in scale, and Apple does not often provide us with detailed notes outlining what's new. tvOS has barely changed since the launch, and the ATV4 has been the buggiest Apple device that my Family has ever used. My wife makes many comments about how the old ATV3 never had problems like the new ATV4 has had. Even though the last few major releases were not feature heavy, it would be nice if tvOS 12 focused on stability. My wife makes many comments about how the old ATV3 never had problems like the new ATV4 has had. Second this. I've had so many more problems with my 4K ATV than I ever had with my ATV3. Putting third parties in full control of their apps was probably one of the worst things to happen for UIs and stability, but that's an argument for another time. I just really wish I could globally disable multitasking because I have to quit the apps almost every time anyway, particularly Home Sharing, and I get nothing out of it. The UI is also pretty slow in general. Your issue sounds like some kind of funky (HDMI) CEC errors. CEC seems pretty hit or miss to me (and for many others in related forums). Equipment may all work nicely together or there may be incompatibilities. Some spin CEC perfection while others share all kinds of "NOT just works" issues with it. It sounds like your :apple:TV may have some kind of CEC priority over your BD player. Basically, if :apple:TV is "awakened" or anything "pings" the :apple:TV, it seems to be taking over your screen (via CEC) as if you are purposely wanting to switch to it from your BD screen. Best I know, there is no way to adjust CEC priorities. Unplugging the HDMI cable breaks this CEC control (from :apple:TV) but that's an aggravating solution(?). The actual problem could be in a variety of links in the chain: :apple:TV CEC, BD CEC, TV CEC, receiver CEC, possibly even some fault in any of the cables, etc. * Swap cables from :apple:TV to receiver and BD to receiver and then see if :apple:TV still seems to take priority (see if you can replicate this :apple:TV taking over when watching BDs). If that solves it, one HDMI cable might be bad. Of course, you'll then want to test it the OTHER way: can you make BD "take over" when watching something on :apple:TV? I don't recall ever seeing anything where a cable could control CEC priority- or even if there is something to CEC priority- but it's an easy enough test if you want to do it. * If you happen to have an older :apple:TV lying around, temporarily slug it in in place of the one you have and see if the problem still occurs (this is just testing one :apple:TV against another, while leaving everything else the same). If so, you might try turning off CEC on the original :apple:TV, rebooting, then turning it on again, repairing it with the receiver. * In lots of deeper CEC online help forums, there is also discussions about the ORDER of connecting things via CEC mattering. In other words, each link in the chain may depend on when one thing is connected vs. another. The ambiguity therein is immense, as there's not typically anything that guides you to an ideal order... unless you just happen to find someone with the exact same combination of equipment who have tested this and figured it out. Ultimately, I've come to a conclusion that CEC is just not mature enough to reliably "just work" for everyone... except perhaps in very simple setup scenarios. So I've shelved it (turned it off in everything) and shifted CEC-like controls out to a universal, learning remote capable of running macros. This remote is programmed to replicate what I want the CEC code to do, but the remote allows me to control WHEN those commands are executed and know exactly WHICH commands are being executed. End result is CEC functionality without hoping CEC works as I expect it to work with various equipment from various companies. I've opted for universal remotes from URC Inc that have a LED window next to some buttons. These can be programmed to do anything. I allocated one of those buttons as "setup" and that gets the macro sequence to switch from one player to another. In your example, if I wanted to watch BD, I'd click the BD button to put the remote in BD mode, then this "setup" button to switch the receiver to the proper input, etc. When I wanted to watch :apple:TV, I put the remote in :apple:TV mode and then hit the "setup" button to switch inputs to :apple:TV and so on. This makes it all "just work" and is simple enough for even the most non-techies to understand how to control the home theater and watch whatever they want to watch. The fundamental difference is that I can very specifically KNOW what commands are being executed which I can't with "black box" CEC "magic"... thus, in a problem like yours, you can't even hardly begin to know where to start looking for a problem to resolve. It could be this. It could be that. It could be cables. It could be a combination of equipment that just doesn't work properly via CEC. Etc. If you try a few suggestions and nothing resolves the issue, you might consider my solution. Maybe there will eventually be a CEC-2 or similar that really pins down a standard that will "just work" with various kinds of equipment. Until then, there seems to be more "luck" than standards in play.